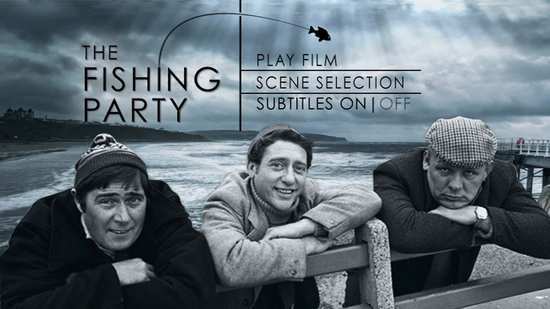 Simply Media, the distribution label ‘focused on the over 50’s demographic’, have released three films from BBC’s Play for Today series on DVD; Our Day Out, The Imitation Game and The Fishing Party. 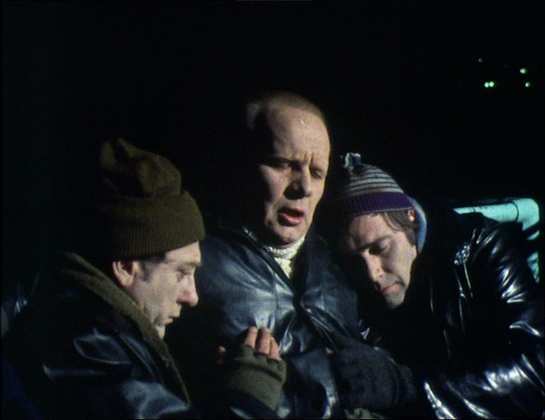 ‘Play for Today’ ran on the BBC from 1970 to 1974 and showcased some great writing and directing talent, as well as introducing some fine actors. They were also often highly political, giving oxygen to key issues of the day. 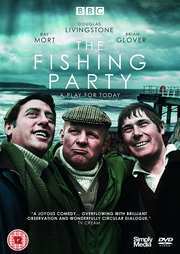 At other times, like this release, ‘The Fishing Party’ they were slices of gentle, comedic social observation, though often no less potent and thought-provoking for that. Whilst some of the very best of these have already seen the light of day on DVD (Abigail’s Party and Boys from the Blackstuff) this is the first time that these particular episodes have seen the light of day since their original release. ‘The Fishing Party’ is another classic self-contained episode (or ‘play’) and, in common with ‘Our Day Out’ is anything but stagey. Shot on location in Whitby in 1972, it’s a gritty social comedy penned by ‘Crown Court’ creator, Peter Terson and directed with great aplomb by Michael Simpson (Prince Regent & The Bill). 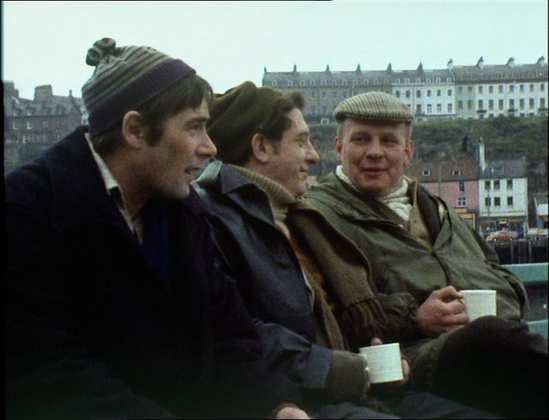 Derbyshire miners, Art (Brian Glover), Abe (Douglas Livingstone) and Ern (Ray Mort) take a boy’s trip to Whitby for a weekend of fishing. They want it to be a significant and serious affair so that they can hold their heads up high when they return back to their wives who suspect the trip is nothing more than an excuse to get bladdered. 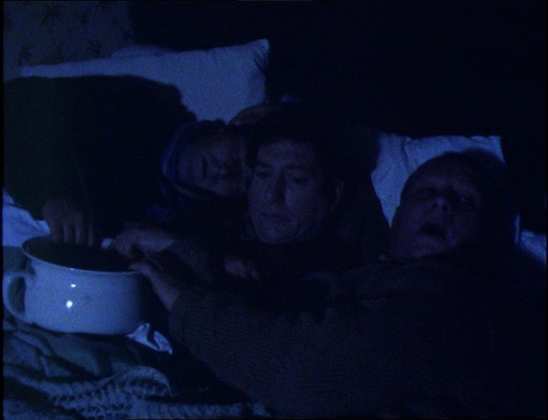 With slight airs, and anxious not to be seen as run of the mill ‘trippers’ by the locals, they decide to avoid the usual pub-grub and rooms, and head for the very slightly better B&Bs. When they knock on the door of one advertising vacancies, the haughty snobbish landlady (a young Jane Freeman – Last of the Summer Wine) isn’t keen on taking ‘fishermen’ on at all. Her hen-pecked husband, on the other hand, is keen to take the money given that the whole B&B is empty as it’s end of season. 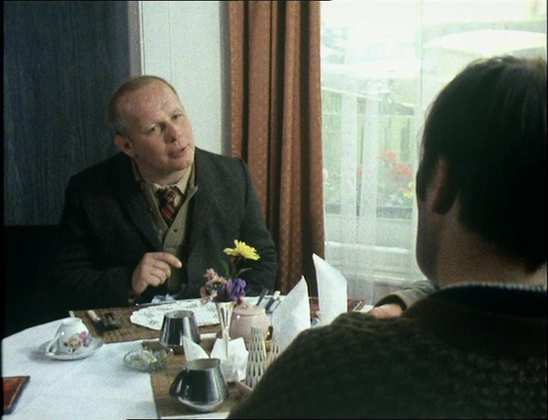 The trio get talked into paying over the odds for a room each as well as breakfast and dinner and Art (Brian Glover) is anxious to make a good impression on the landlady. When they make it clear that they need to be out by 6.45, the landlady decides that that is exactly the time that dinner is to be served and it cannot be changed. 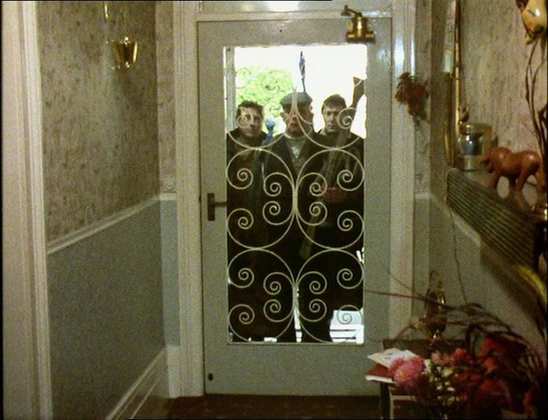 As a result, the trio go to a café and have a hearty meal of fish and chips and it’s there that they start to let their guard down, and enjoy themselves, with lots of saucy quips about the waitress and votes to buy a huge crate or two of brown ale after all – before heading out to sea. Predictably, the journey out to sea proves to be more than any of the men can stand. The fish and chips, washed down with pints of brown ale, prove to be the worst possible mix for fishing on a lively sea. The result is a sorry return to land where all three are horribly sick. So rather than soil three sets of sheets, they sleep in a single bed. 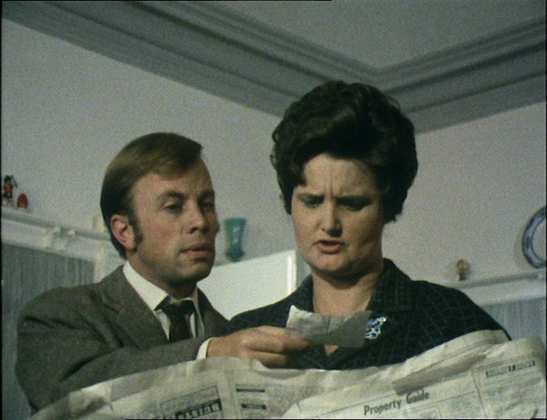 In the meantime, the landlady and her husband are waiting up for them, assuming there’ll be trouble – especially if they discover that none of the sheets were cleaned in a bid to save a few bob. The play ends happily at breakfast where the trio seem to have rallied, looking forward to a hearty breakfast of charcoaled kippers When they get little more than corn flakes they conclude that they should leave a note for the landlady to thank her for her excellent service, but that she really should provide kippers. Much of the gentle comedy comes from Glover (as Art) as he paints a presumed picture of the service they are likely to get at their ‘hotel’ – with entrees at dinner (though no one is entirely sure what they are) and wine served with each course. The reality, of course, is somewhat more down to earth. The vibe is gentle and will please fans of series like ‘Last of the Summer Wine’ which this very much reminded me of. Indeed, that series began its 30 year history just a couple of years after this aired so maybe there was some small influence there. 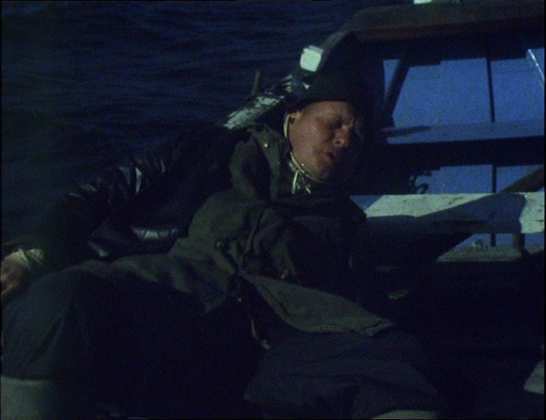 Running for a mere 57 minutes, The Fishing Party is great fun but whether it is deserving of its own DVD release with no extra features is a moot point. I can’t help thinking it would have seemed somewhat less mean spirited to have bundled it with some of the other Play for Today releases, like ‘Our Day Out’. That said, the fact that it has a release at all is good news and we should all be grateful that niche companies like Simply Media (focusing on the over 50s demographic) are prepared to dust off such treasures and release them at all. I imagine sales will be fairly limited.